MOSCOW, January 23. /TASS/. Russian Deputy Foreign Minister Sergei Ryabkov and US Under Secretary for Arms Control and International Security Andrea Thompson will attend a meeting of five main nuclear states in Beijing on January 30-31, Russian Foreign Ministry Spokeswoman Maria Zakharova said at a briefing answering a TASS question. "Next week on January 30-31, Ryabkov and Thompson are scheduled to be in Beijing to attend a meeting of the so-called ‘nuclear five’," she said. 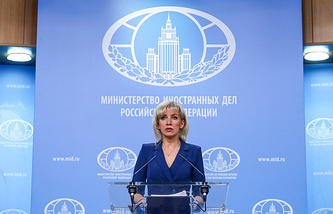 "The agenda of this scheduled event is far wider than issues related to the INF treaty, as a wide range of issues is expected to be considered there, with an emphasis on nonproliferation of nuclear weapons," Zakharova said. 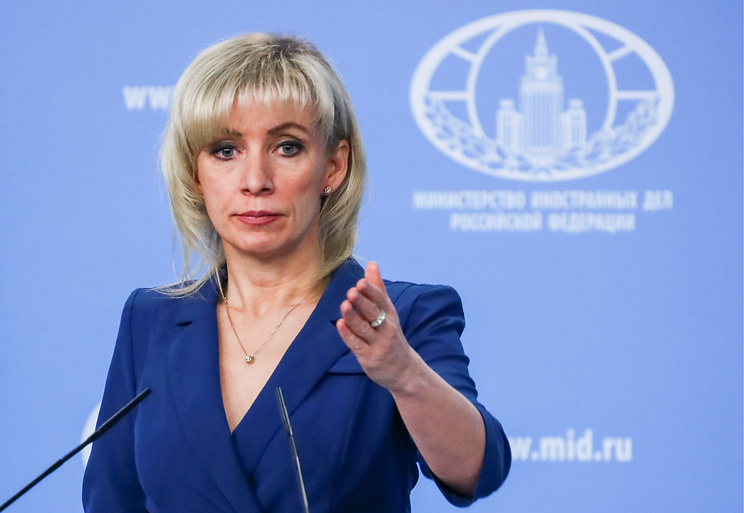 According to the Russian Foreign Ministry spokeswoman, at the talks on the Intermediate-Range Nuclear Forces Treaty (the INF treaty) held in Geneva earlier in January, Russia suggested to the United States that a separate meeting on the issue should be convened in Beijing on the sidelines of a meeting of the five main nuclear states. "Taking into account the particular topicality of the INF Treaty, the Russian side is open to continue bilateral talks with the US on this very issue." "Moreover, the Russian side proposed twice to [US Under Secretary for Arms Control and International Security Andrea] Thompson in Geneva that a bilateral meeting on this treaty should be scheduled in Beijing but there was no definite answer," she added. "It is regrettable that the United States shuns dialogue on the INF treaty which vividly demonstrates that the Americans cannot see the point in holding any extra negotiations, since they have obviously set the course to dismantle the treaty," the diplomat said. "While seeking an uncontrolled arms buildup, Washington is actually trying to knock down one of the major pillars under the current global stability, and this might result in the most painful repercussions for the world’s security," Zakharova said. "It is not late yet for our American partners to work out a responsible attitude to the INF treaty." Zakharova assured that Moscow is ready for talks with Washington on strategic stability, including the INF Treaty. The ‘nuclear five’ is an informal assembly of the five states possessing nuclear weapons. Among them are Russia, the United States, the United Kingdom, France and China. US President Donald Trump said on October 20, 2018 that Washington would withdraw from the INF Treaty because Russia was violating the terms of the agreement. US Secretary of State Michael Pompeo said after a NATO ministerial meeting on December 4 that his country would stop fulfilling its liabilities under the INF Treaty unless Russia returned to "full and verifiable" compliance with it within 60 days. Russian President Vladimir Putin said on the following day that the US side had provided no evidence to prove Russia’s alleged violations of the treaty. He stressed that Russia is against dismantling this treaty but will have to react correspondingly if the United States withdraws from it.